It is not enough for a brand to be able to deliver a better way of doing things; it needs to be able to easily share this idea. 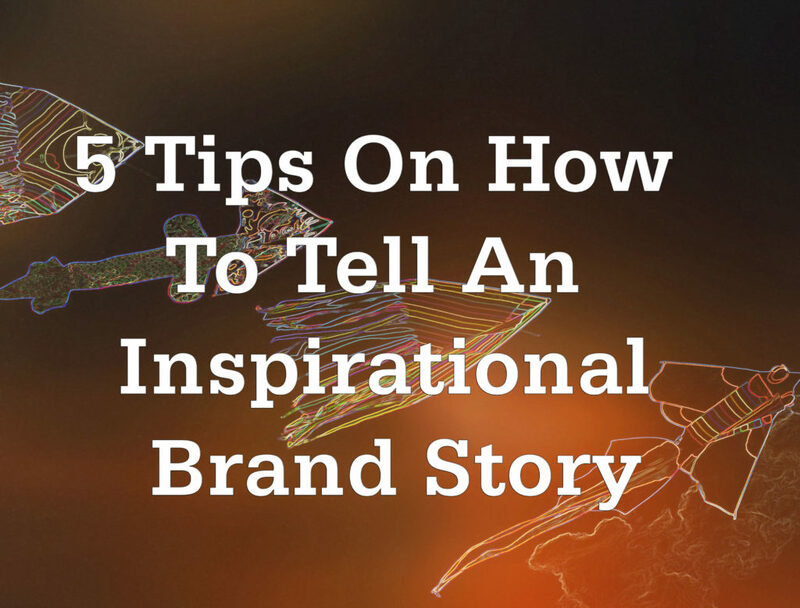 One of the best ways of doing this is to tell an inspirational brand story. Inspirational storytelling when done well will inspire your audience to act. It is not easy to tell inspirational stories, the best starting place is to understand what is your big idea or message. It is impossible to tell an inspirational brand story if you do not know the point of your story. To inspire you need to know what is it about your message that will inspire your audience. Too often we hear a brand story and wonder what exactly is that brand trying to tell us. Think carefully about what your message is and why it is likely to inspire your audience. Ask yourself how can you make your point clearly and with impact. Always focus on your message when crafting your story. Once you are clear on your message, think about the best way to tell that story. What characters will you include in the story and how will you share with your audience the journey they take? How will you keep your audience interested in your story? Tell a story that entertains and educates your audience, but most importantly engages them. Understanding your message and telling a good story will fail to inspire an audience if they cannot relate to your story. They need to understand your story and relate to it on an emotional basis. The easiest way to do this as a brand is to put your audience at the emotional heart of a story. Let your story reflect their struggles and the life journey they regularly take. Nothing engages an audience more than seeing the passion of the storyteller. If you as a brand are passionate about your subject your audience will be swept up in that passion. They will see that you really care about what you are sharing. Being passionate about your subject matter will help engage your audience on an emotional basis. This will help them to care about your story. Brand storytelling is all about delivering solutions to life’s problems. It does not matter if they are big or small problems as long as your audience considers them important they matter. An inspirational brand story must deliver your audience the hope that you can help make their life better in some way. To create an inspirational story a brand needs to understand their audience and make them the hero of the brand story. A brand storyteller needs to show their passion for the subject and emotionally connect with their audience. The story needs to be delivered in a way that is easy to understand and highlights the brand message. As Victor Hugo said a dream paves the way for the future and brands definitely sell dreams. Brand storytelling is all about painting a picture that shows your audience there is a better way. There is an easy solution to their problem and the answer lies in the brand story. Posted in Story Telling and tagged audience, Audience engagement, authentic story, brand storytelling, Customer hero, emotional connection, story on April 16, 2019 by admin.